Experience Italy at its best, we will make come true of all your desires. Usually Wedding planning means stress because of thousands things to organize. Finding location, choosing menus, create the guestlist… oh my God, it’s too much for every couple! Everything it’s so easier when there’s someone who will help every time you need. The wedding planning is our lifestyle. 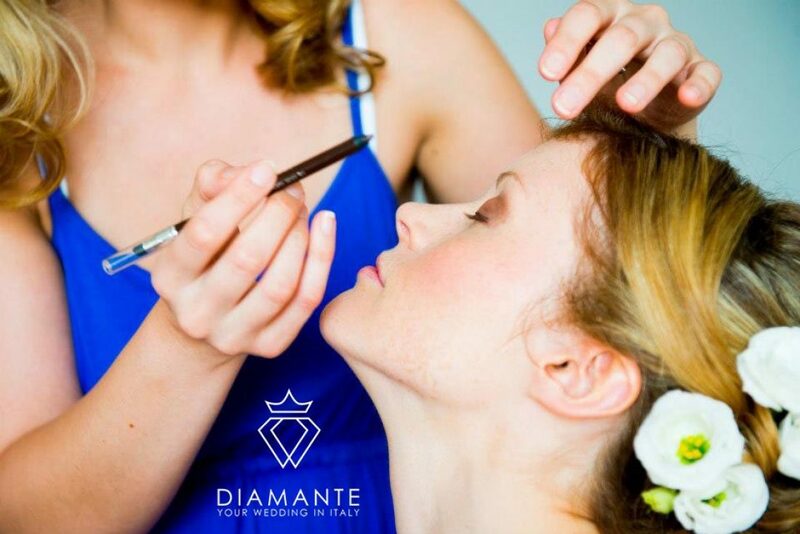 Thanks to Diamante – your wedding in Italy, you will arrive at your wedding day absolutely relaxed. Furthermore, the main services offered by each wedding planner, we add some other figures that will contribute to guarantee your serenity. Personal assistant, interpreter, personal shopper, chauffeur… all what you need to experience Italy at its best. As known, Italians are masters of beauties, so why not? If you want an authentic Made in Italy bride’s dress, a Dolce Vita inspired hairstyle or a makeup artist exclusively for you, our offers will be like a magic wand. Or, if you came from abroad but you always dreamt a wedding in Italy, we will help you finding all the logistics solution as a personal chauffeur or, if you are scared from the language differences we will provide you an interpreter that will help you during all the steps. Be a part of Diamante-your Wedding in Italy’s lifestyle and we will give you an exclusive and luxury Italian experience.